Let your site climb to the top of Google and outrank any niche competition. Help Google searchers find your site on the Web and become your paying customers. Get SEO results quickly and without inflating your marketing budget. 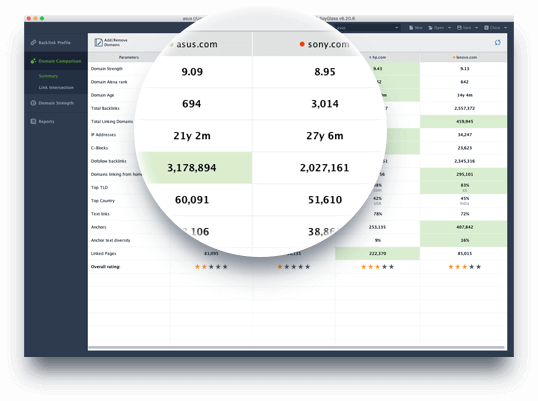 No more spending hours on manually checking your site's positions in search engines. Just sit back and let SEO PowerSuite do the job for you. 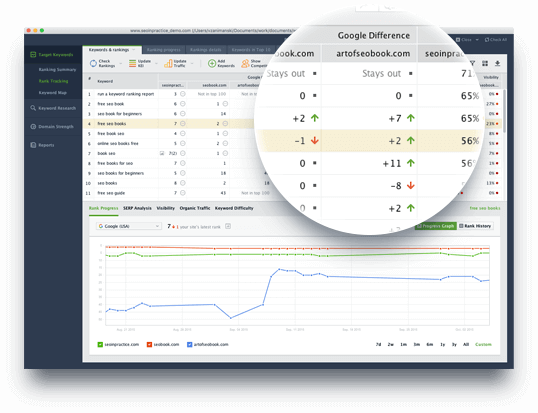 Find, monitor, analyze and compare — dig all the backlink data you need for safe and effective link building. 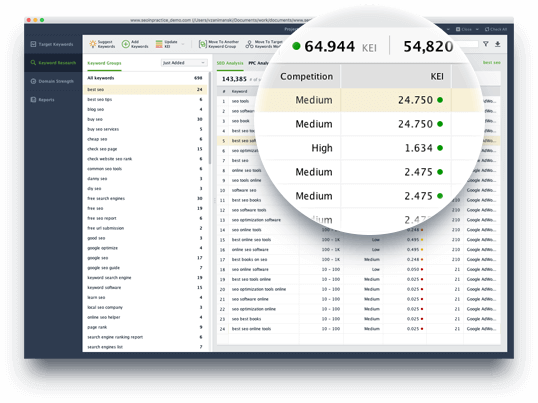 Find profitable, traffic-generating keywords to focus your SEO efforts on. 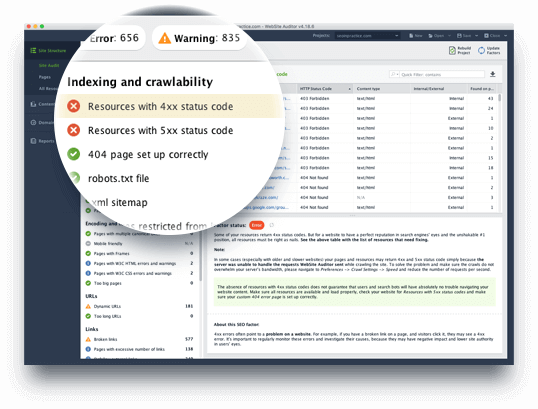 Run a complete on-page health audit against dozens of SEO flaws. Create relevant and search engine friendly content for your website. Reverse engineer your competitors' SEO to uncover the most effective strategies that help them rank high in search engines. 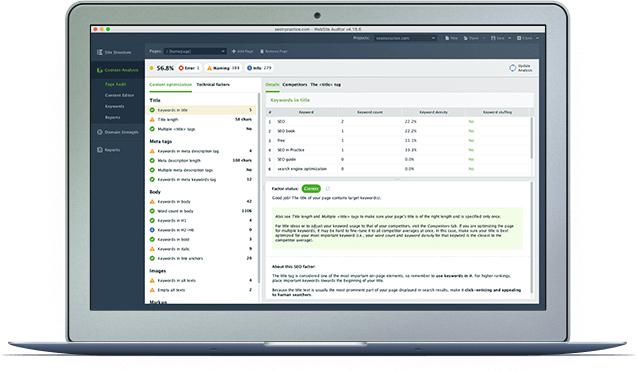 SEO PowerSuite Free license has no time limitations — you can use it free for life. "With these SEO tools, I got results in just 24 hours! We went to #3 and #1 on Google and broke into the first page of Bing." 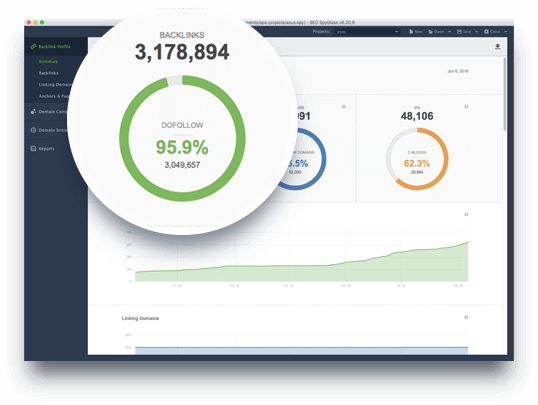 "I am very impressed with SEO PowerSuite tools. We've already seen organic search engine traffic triple!" "A powerful weapon in your SEO arsenal — great for impressing new and present clients."